Last month, when Emirates SkyCargo celebrated five years of “uplifting roses from Ecuador,” the news was picked up in Air Cargo World, Air Cargo Week, and other major trade journals across the globe. After all, it’s big news. As its GSSA in Colombia and Ecuador, PrimeAir and parent company Prime Group wish to congratulate the carrier on its great success here. After all, PrimeAir and Emirates SkyCargo have been working closely together since Emirates first entered the market in 2013 – in Quito. And just this past summer, the partnership was significantly enhanced as the Dubai-based carrier selected PrimeAir to serve as GSSA for Emirates SkyCargo’s operation in Colombia, too. PrimeAir provides in-country sales, marketing, and accounting for Emirates SkyCargo, in addition to airport services such as warehouse supervision, and ULD control. Acknowledging that the agreement with Emirates SkyCargo is a feather in the company’s cap, Prime Group is pleased to share the good news here with our readers, on behalf of one of our most honored customers and partners, Emirates SkyCargo. Roses are one of the most popular export commodities from Ecuador and are renowned for their vibrant color and long shelf life. Over the last five years Emirates SkyCargo has been facilitating exports of Ecuadorian roses as well as other flowers and perishables through its freighter operations to Quito. Emirates SkyCargo commenced its freighter operations to the Ecuadorian capital in December 2013 with a once a week service. However, due to growth in demand and trade flows from Ecuador, the air cargo carrier increased the frequency of its freighter flights. Currently, Emirates SkyCargo’s Boeing 777 freighter aircraft uplift cargo four times a week from Quito. 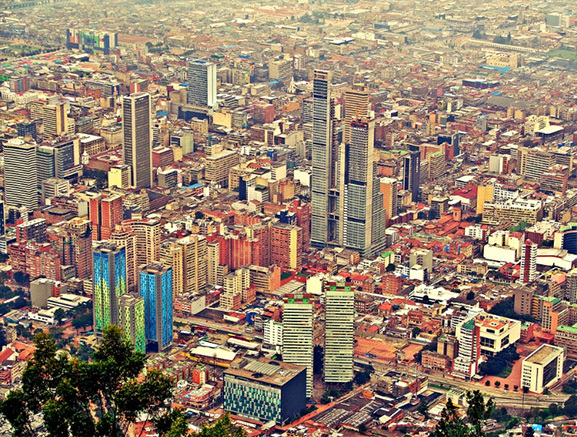 Since December 2013, Emirates SkyCargo has helped transport over 50,000 tonnes of Ecuadorian exports from Quito. Fresh flowers including roses form the bulk of export commodities transported on the freighters. In 2017 alone, close to 12,500 tonnes of fresh flowers were flown from Quito to other parts of Emirates’ network in Europe, Middle East, and Asia. High season for flower exports lasts between August and February but the peak demand for roses occurs in late January and early February in the run up to Valentine’s Day, which requires additional freighter capacity to be deployed to meet demand. 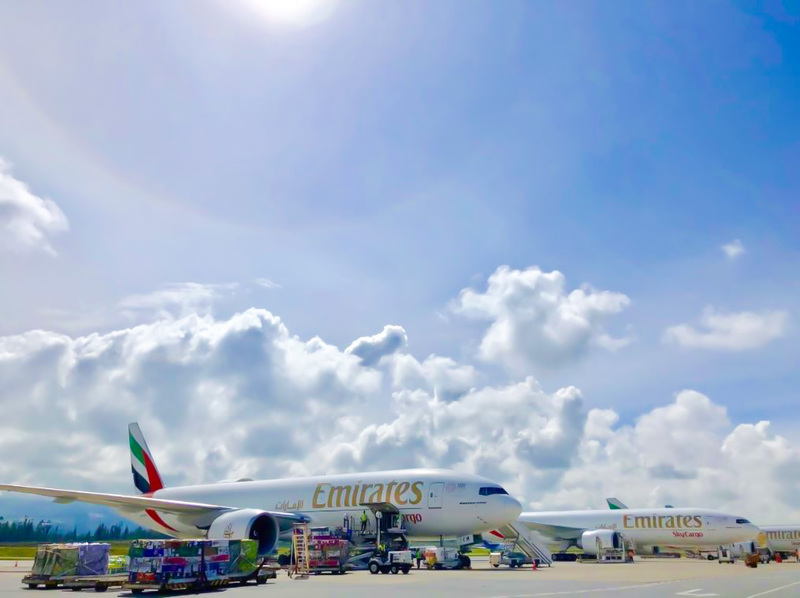 More recently, Emirates SkyCargo has also helped promote the growth of exports of perishables such as mangoes and baby bananas from Ecuador to markets such as Germany, the Netherlands, Hong Kong, and Singapore. With its global network of over 155 destinations Emirates SkyCargo facilitates the development of new export opportunities and makes an important contribution to the local economy in Ecuador where more than 100,000 people are dependent on the floriculture sector. With Emirates Fresh, the carrier’s three-tiered suite of specialized solutions, flowers and other perishables from Ecuador retain their freshness and longevity during their journey. Emirates SkyCargo’s modern fleet of Boeing 777 freighters have controlled temperature zones set up inside the aircraft ensuring that perishable shipments travel at the right temperature. Emirates SkyCargo, the freight division of Emirates, is the largest international airline cargo operator in the world. With an unrivalled route network, the carrier connects cargo customers to over 160 cities across six continents and operates in many of the world’s fastest developing markets. While Emirates SkyCargo offers cargo capacity on its entire fleet, it’s dedicated fleet of freighters includes 13 Boeing 777-Fs and one Boeing 747-F. 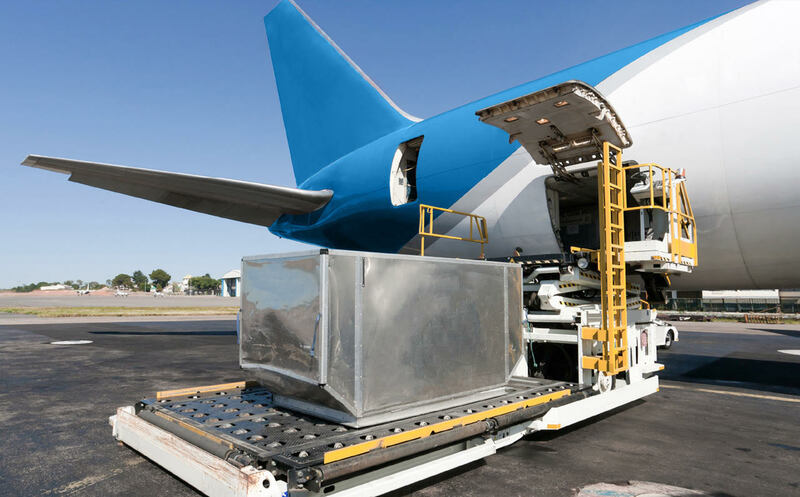 The carrier operates state-of-the-art cargo facilities at its dual hub locations in Dubai International Airport (DXB) and Dubai World Central (DWC). Miami-based Prime Group finds itself at an exciting crossroads. The idea that founders Roger Paredes and Omar Zambrano had starting 17 years ago, to provide well-managed solutions in service to the air cargo business, continues to evolve – with a renewed energy and spirit. Upon completion of an intensive seven-month review and realignment of internal operations, Prime Group is now ready to fly high with a greater sense of agility and efficiency that will help it continue to succeed in the competitive air cargo business. Known for offering exceptional international cargo and logistics products and services, Prime Group is the umbrella company for several divisions that include PrimeAir, Prime Air & Ocean Cargo, Prime Fresh Products, and Prime Fresh Handling. “Most people will agree that the modern economy is fast and dynamic, and is in a constant state of change,” said CEO Roger Paredes, which is why he believes the greatest challenge facing the industry today is to be able to quickly respond to market change. “It was becoming more and more evident that, as a company, we had arrived at a point where we had to step up to make strategic and operational changes that will guide us to market leadership,” he added. So late last year, Prime Group made the decision to invest in its future by selecting London Consulting Group of Monterrey, Mexico. Founded in 1991, and currently operating throughout the America’s and Europe, London Consulting was hired to “free up Prime Group’s potential,” by developing and implementing through the company’s management team major changes and solutions – primarily in the operational areas of the company. By working with London, Prime Group is ensuring long-term fitness so that it may continue to evolve as a leader in the air cargo and logistics business long into the future. “They spent seven intensive months onsite with us, reviewing our operations from head to toe,” Paredes continued. 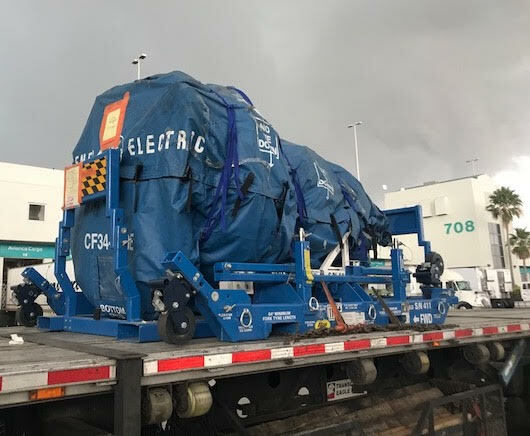 “As a result, we are putting into place processes and indicators that give us insights into the warehousing and commercial aspects of our operation all across our system, from Bogota to Los Angeles, to Amsterdam. With new measurement tools in place, the company is gaining a better perspective – and controls – on everything from yield analysis and aircraft load factors, to efficiently building up jet pallets, and optimization of personnel. They are now able to determine whether work that’s being performed in one particular job group is happening at peak levels of productivity, and then reduce inefficient activities that negatively impact the cost of operations. The management team also has been coached in prospecting new customers and how to better service existing customers with automated tools that indicate short- and long-term buying trends. “We are now able to better customize our service because we have better insights into our customer needs,” said Paredes. The side benefit here, internally, is that management may now spend less time with day-to-day tasks, and more time focusing on the strategic side of the business. “It is of great benefit for an airline to work with a company like ours that has made the investment to put in place such sophisticated tools that allow us discuss trends and to make customized data-based decisions – sometimes with just one click,” he said. So the big question is, was the investment worth it? “By applying London Group’s methodology, they were able to develop and implement the solutions we needed to achieve greater profitability,” says Paredes. “They promised a sizeable return on investment and we are pleased to report we are seeing permanent results that will allow us to take the Prime Group companies to the next level.